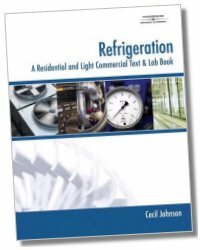 This "how-to" lab book creatively combines both theory and practical application into an organized system for learning about domestic and commercial refrigeration equipment. 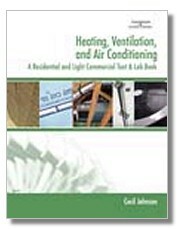 Ideal for use as a stand-alone manual or alongside any HVAC publication, this versatile guide offers brief theory lessons of what is to be learned followed by practical competencies that take readers step-by-step through specific procedures. These opportunities for “hands-on” application of key concepts help readers better understand common service, repair, and maintenance procedures. 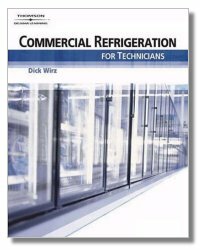 The flexible format affords users the unique opportunity to learn domestic and commercial refrigeration fundamentals and applications either on an individual basis or in an instructional setting. Cecil Johnson holds a Masters degree in Vocational Education from Penn State University and has over 30 years of service with the Dauphin County Technical School as a vocational instructor in HVAC. His experience in the HVAC-R and training fields has earned him a number of certifications: two Vocational Teaching Certificates, ESCO Institute and Air Conditioning Contractors of America (ACCA) CFC Proctor Certification, and EPA Section 608 Universal Certification. 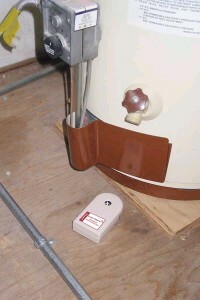 He has developed and written numerous HVAC training materials and programs, including programs for the General Service Association of the Federal Government and the United States Air Force. 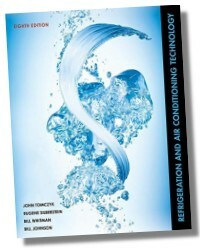 Mr. Johnson was also a key player in the development of the HVAC Diploma, Certificate, and Associate Degree programs at Harrisburg Area Community College, where he is currently an adjunct instructor. 632 Pages - 8-1/2 x 11in.